Chepri® worked with Wano, Carvalho & Associates to produce a new logo while creating a website aligning their brand and company goals. 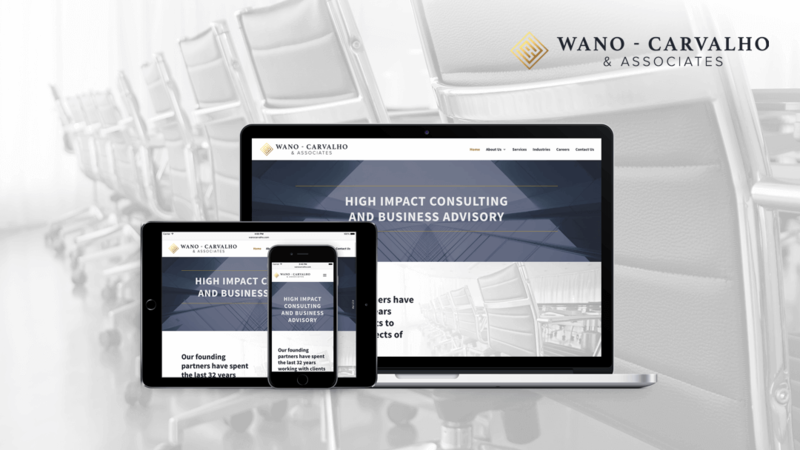 Using Chepri®’s SEO and marketing services, the website content personifies the experience of Wano, Carvalho & Associates. Optimized to rank highly amongst other top consulting competitors, the finished product showcases the trustworthiness of the founding partners.